The Washington Student Achievement Council (WSAC) administers financial aid for higher education students in the state of Washington. Among others, it administers the Guaranteed Education Tuition program (GET), which allows Washington families to save for their children’s future college expenses with a prepaid tuition account that is guaranteed to keep pace with Washington’s highest priced public university. Here is how Laserfiche helps WSAC process as many as 1,500 paper enrollment applications a year. Applications received by mail, in person or from a bank were scanned into WSAC’s legacy document management system and then stapled together in a batch with a cover sheet. The batch was passed to the records coordinator, who would create records in the Banner Student Information System for each application. If there was an issue with even one application in the batch, such as the necessity to verify residency, the whole batch would be put on hold until the issue was resolved. In the example of residency verification, that could result in a 60-day delay. Enrollment applications are scanned into the To Be Indexed folder in Laserfiche directly after they are received. 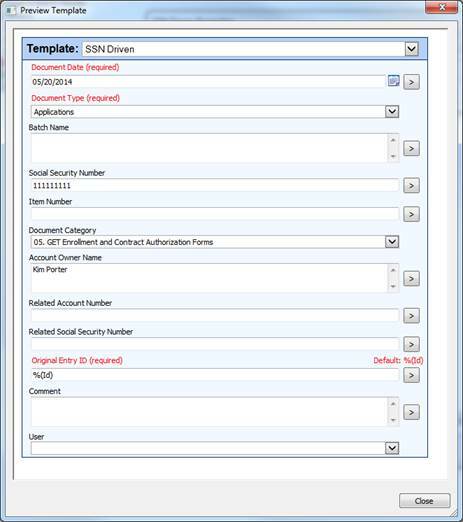 The scanning clerk assigns the SSN Driven document template and fills out the Document Date, Document Type and Social Security Number fields. Since the applicant does not yet have an account set up in Banner, the primary template, GET General Template, can’t be assigned until the end of this process. 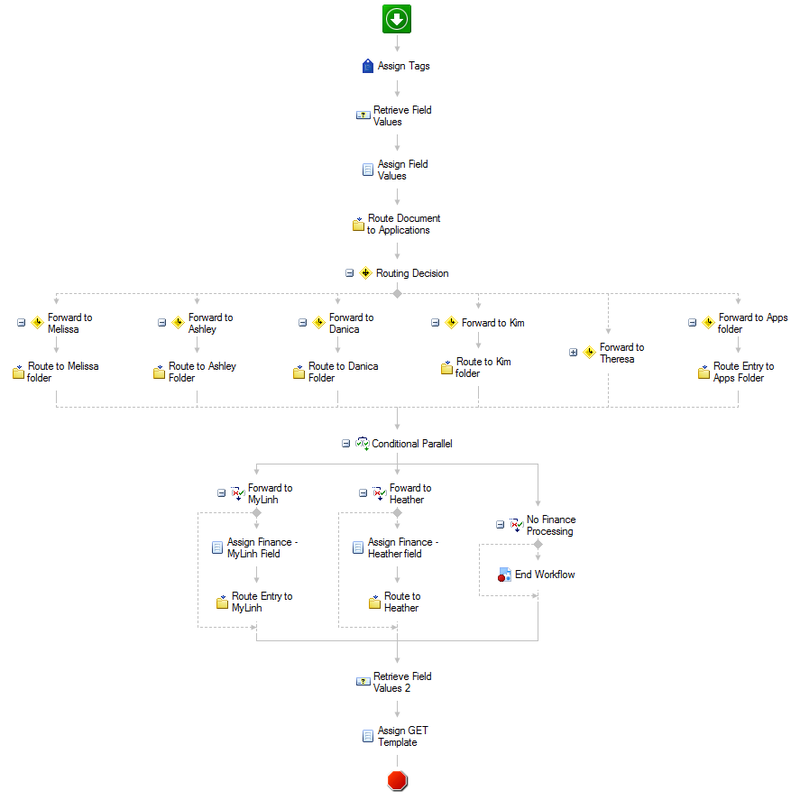 As soon as the enrollment application is saved, two different workflows are invoked. 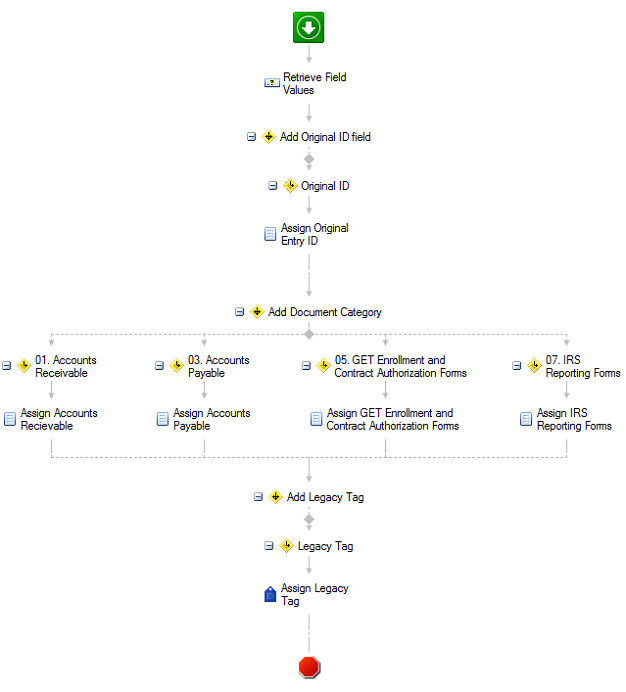 The first workflow assigns a value for the Document Category field based on the Document Type. 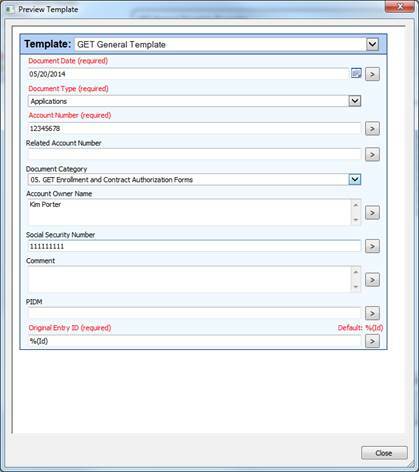 The second workflow uses the social security number to retrieve the account owner’s name from Banner to populate the appropriate field. 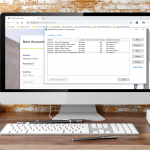 After the enrollment applications are properly indexed and have all the necessary metadata, the application is manually moved to the GET Auto File folder. Some of the applications require the scanning clerk to perform additional actions such as add annotations or links to supplemental documents as part of the indexing process. 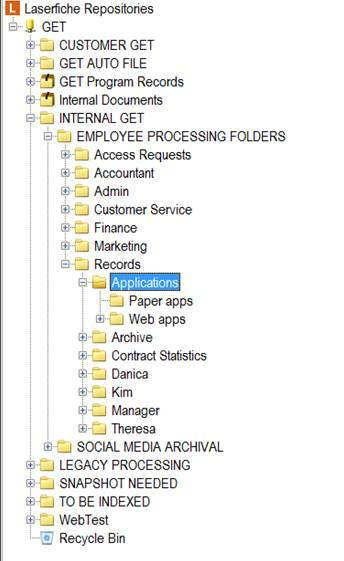 This action invokes the records management workflow, which files the original application in the appropriate document category within the GET Program Records folder. 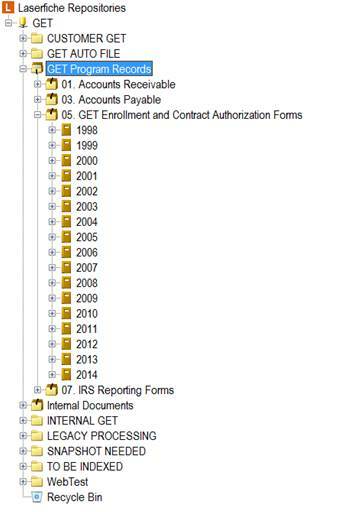 The folders within GET Program Records mirror the 50-year retention schedule for our paper documents. 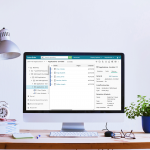 The records management workflow invokes the Enrollment workflow, which creates a shortcut to the original application in the Applications folder. The records coordinator sets up the new account in Banner and enters the account number in the Related Account Number field. She also assigns an applicable tag related to the method of payment: either ACH or Credit. After everything is done, she changes the Document Status field value to Complete. Applications tagged ACH or Credit are routed to the finance department for additional processing. Student information is now completely secure since applications are stored in Laserfiche and not in piles on employees’ desks. An application is no longer held up just because another application in the batch had a problem. Customer service has improved. An applicant can obtain the status of the application right over the phone because information stored in Laserfiche is instantly and easily available to authorized employees.